The Marion Country Sheriff’s Office in Florida has solved its most bizarre crime in its 175 years of existence: it retrieved a stolen hot air balloon. “You’re going to think we’re full of ‘hot air’ when you read this,” it quipped on its Facebook page. 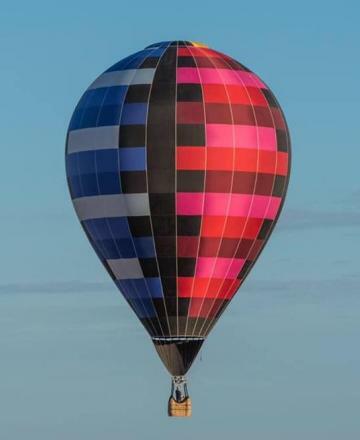 The hot air balloon had been stolen from Bloomington in Indiana hundreds of kilometres away. However, the Florida police were notified that it had been spotted at The Villages Hot Air Balloon Festival being held at the Florida Horse Park. The Sheriff’s Office said that the owner didn’t want to press charges and just wanted his hot air balloon back. It is now on its way back to its proper owner. Sadly, no details were given on how the thief thought he would get away with his loot.